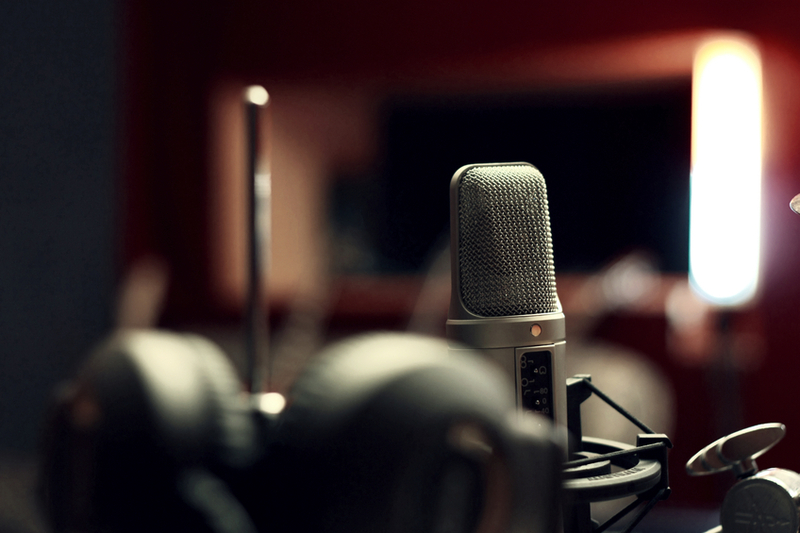 Rick Lance Voice Acting News: Is Your Home Studio Harming Your Health? Is Your Home Studio Harming Your Health? It’s easy to overlook things when you have the luxury of working from home. If you’ve ever been trapped in a cubicle farm or have worked in the service sector, you probably dreamed about having a job where you could work from home, and not have to deal with people, and work whenever you want. Basically, EVERYTHING WOULD BE PERFECT. But is it? Now that you’re actually doing it, have you thought about some of the pitfalls of working from home - namely the ones where your actual health is concerned? I was surprised to learn that there are things in my home studio that can be harmful to my health, and I initially discounted many of them. But as time goes on and I spend more and more hours in my studio, I’ve learned to pay more attention to this because, hey, I like being healthy and feeling good. Ever heard of digital eye strain? It’s what happens when you spend too many hours staring at the bright light of your computer monitor. You may think, but I’ll be recording most of the time! Well, I’m here to tell you that you’ll also be spending plenty of time on your computer, editing tracks, emailing clients, and managing the business end of things. To counter this potential health issue, make sure the lighting in your studio is easy on the eyes. Try using some form of bias lighting behind your monitor, like a small lamp or strip of LEDs, and reduce the brightness of your screen. Be sure to take frequent breaks from the screen as well, and look at something that doesn’t emit blue light, whether it’s staring out a window for a few minutes or focusing on paperwork. Try to be in a room that mixes natural daylight with softer lamplight, etc. Watch those great sounding earbuds! Don't crank up the volume level for extended periods of time. Tinnitus or "ringing in the ear" is no laughing matter. That condition can be a lifelong problem. Just ask a few aging Rock n' Rollers like Pete Townsend from the legendary band The Who, whom suffer from permanent hearing loss and Tinnitus. When you make repetitive motions all day, which most working adults do, you can develop RSI, or repetitive strain injury (or Carpal Tunnel). These are usually felt in the hands, wrists, and forearms, and sometimes even the neck and back. This is another sneaky one that can develop slowly over time, and before you know it, you’re dealing with shooting pains every time you sit down to edit a track or compose an email. You can help prevent RSI by taking frequent breaks and moving around, and investing in a good, ergonomic chair that provide lumbar support. Watch your posture, too, and try to avoid slumping when you’re working on the computer. I've had this problem for many years but have kept it in check simply by sometimes wearing cloth wrist bands, especially at the gym lifting weights. They're cheap and effective. You can get them in the Tennis section of most sporting goods stores. This is stuff a lot of VO actors simply don’t think of when it comes to their home studios, but they should. Your good health should be a top priority, and taking preventative actions in your studio can help you maintain it. *Search my blog for my Friday Fitness Tips: From a 32 Year Fitness Novice for much more specifics on staying healthy through exercise. Is Voice Over a Teachable Skill? Is Your Voice Over Work Emotionally Constipated?